As a Certified Forensic Video Analyst, one of the hardest calls is stating that nothing can be done. I cannot recover that face, that logo, or that license plate. 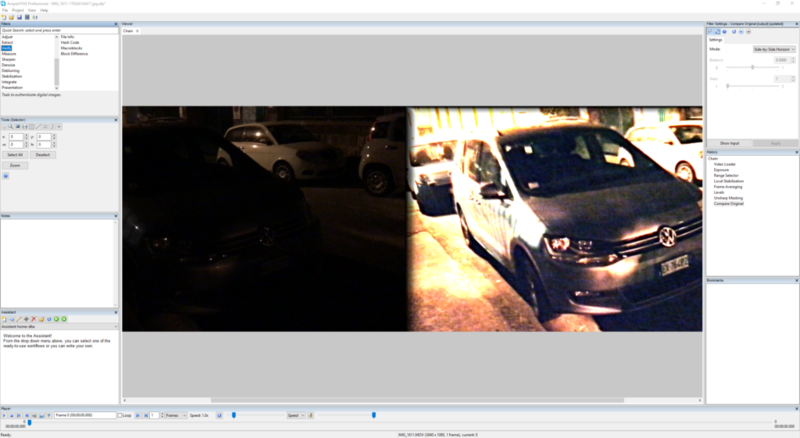 I have written many articles, and spoken at conferences, about the challenges with CCTV video evidence, so getting a result from poor footage can be immensely satisfying. So, what is required then to get the result? 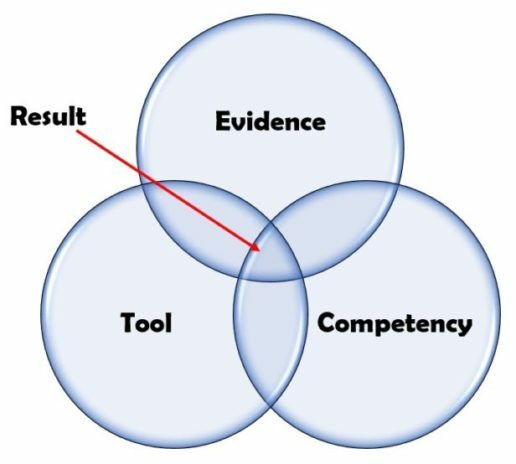 The planets of Evidence, Tool and Competency all need to be aligned. This entry was posted in Announcements, FIVE on September 13, 2018 by David Spreadborough. 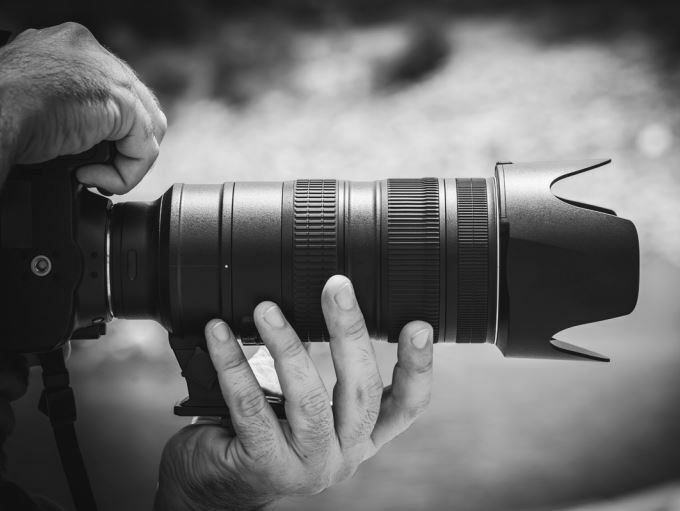 I recently testified in court as a forensic image and video expert and, as is sometimes the case, the use of some filters to enhance images was questioned. As I have written before, there is some processing that should be entirely avoided, since it lacks accuracy and repeatability. For example, we should avoid techniques which add new information relying on data obtained by a training set, or techniques which have a random component. Removing existing information: for example, removing the grain in a dark image can remove also important details. Adding new information: for example, creating or amplifying image artifacts which may be misinterpreted as a real detail. In this reasoning, we are not referring to details at the pixel level, but at the image semantic content. In general, if I resize an image, I add a lot of new pixels but if the processing is correct I am not adding any new relevant information. It’s important to understand that most of the image processing techniques present a compromise: I enhance something at the expense of damaging something else. For example, if I lighten an image to show better a dark part, it’s very likely to lose details in the parts of the image that are already bright enough. For this reason, it’s very difficult, in general, to say which techniques are good and which techniques are bad. Their applicability must be related to the specific case and the parameters used. Filters are just tools, and as such, they can be used in the right way, obtaining better images, or in the wrong way, damaging the image quality or presenting wrong information. Because of this, it’s important not to blindly apply different enhancement and restoration filters, but to apply them in order to correct a specific defect. Similarly, the tuning of their parameters must be consistent with the amount of defect I want to correct. Abusing the filters can create images which are much worse than the original. It is therefore important, as I’ve said many times, to work with experts who have specific experience in the forensic image and video analysis field. Who know what to do, and how to identify what has been done incorrectly. A lot of pressure may be put on the processing done by the experts, but most people ignore that there are many other processing and possible issues happening during the image acquisition and visualization phases. A lot of processing happens in the camera itself, from CCTV to smartphones. Unless raw image pictures are used, and this is very rare, the value of the pixels in an image are hugely dependent on the processing and encoding which automatically happens inside the device to obtain the ratio between image quality and technical limitations that the producer wished to obtain. And then, even to simply visualize the image, there’s a lot going on under the hood. Different software can decode the image in a slightly different way which can enormously impact the final result, and a lot of image processing happens on the graphics card of the PC, on the screen, or on a projector. Just play with the brightness of the projector to realize how much the visible information in an image can be impacted by such simple tuning. There is then the most critical part of the processing: our eyes and our brain. Different people see and want to see different things in the same image. Analyzing things in an objective and unbiased way is often very difficult unless you can measure things numerically. And in fact, avoiding and limiting the various types of biases are one of the most important aspects of forensic science currently studied. This article, written by Martino Jerian, was originally published in Lawyer Monthly magazine. Click here for the published article. This entry was posted in Announcements, FIVE, How to, Press / Media, Training on July 5, 2018 by Martino Jerian. If you’ve attended one of my classes or lectures, you’ve likely heard me say the following phrase many times, “There’s what you know, and there’s what you can prove.” The essence of this statement forms the basis of the Criminal Justice system as well as science. What I “know” is subject to bias. What I “know” is found in the realm of truth. As a Kansas City Chiefs supporter, I “know” that the Oakland Raiders are a horrible team. I “know” that their fans are the worst in the world. After all, the Chiefs are the best and their fans are as pure as the wind-driven snow. This is “true” to me. Whilst funny and used to illustrate a point (I’m sure there are some really great people among the Raiders fan base), truths are things we “know.” Truths are rooted deep in feelings/emotions and unlikely to be changed by facts. There is a segment of the US population that believes it true that Elvis is still alive and that he’s likely hanging out on some Caribbean island with Tupac and Biggy Smalls. Facts are measurable; they form the basis of tests of reliability. I can measure the temperature in a specific location and you, standing in the same location, can perform the same test and come to the same measurement. Supported by facts, our tests in this discipline become reliable, repeatable, and reproducible. Our conclusions can thus be trusted. What on earth does this all have to do with Amped FIVE and Forensic Multimedia Analysis? I’m glad you asked. By now, you’re well familiar with the fact that Amped Software operationalizes tools out of image science, math, statistics, etc. We also operationalize tools and training out of the world of psychology. 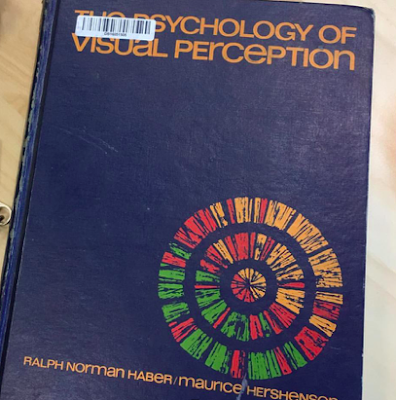 By this I mean if we’re going to work in the visual world, we must know how that visual world operates not only from a mechanical standpoint but also from how the brain processes the inputs from its collection devices. This entry was posted in Cases, FIVE, How to, Training, Tutorials on July 2, 2018 by Jim Hoerricks. ‘Caught on CCTV’ — how many times do we read or hear those words? 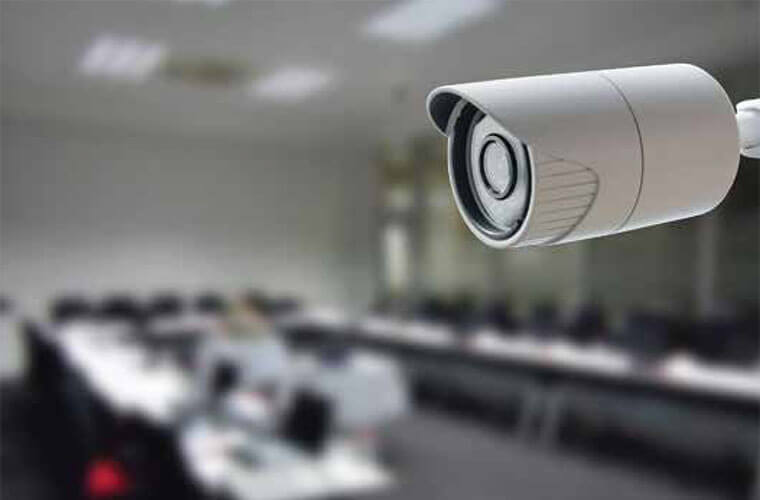 With cities worldwide sitting under the gaze of millions of public and private cameras, it is no wonder that in many cases, the best chances of identifying an offender starts with the image caught on CCTV. But, the simple task of getting an image can sometimes be a challenge so it is no wonder that people look at the shortcut and simply take a picture of the CCTV monitor with their phone. It’s quick, simple and you immediately have an image. This is great when recognition is time critical. The image of the ‘man in the hat’, the 2016 Belgium terror suspect, was first released after a snap of a CCTV screen. Then, a few days later, the forensically acquired evidential images were released. When something is not time critical, then the correct acquisition of the original video will help immensely in any integrity or authentication issue. Not only that, but if any restoration or enhancement is required, then you will have a much better chance of image recovery. Faces and vehicle licence plates are often requested for recovery. They have two matching characteristics – high detail. It is these high details that are lost when a piece of CCTV is captured incorrectly, snapped from a PC screen, re-recorded with the analogue video output, or obtained any other way that changes the original digital structure. An added problem with some of these processes is that small details can change shape and become blended together. Letters and numbers on licence plates start to look like other digits. It can be frustrating to use multiple pieces of software with a need to ensure no loss of quality during every stage. This obviously adds extra and unnecessary time to the workflow. Time that is extremely valuable in today’s policing environment. A by-product of using Amped FIVE, the ‘all-in-one’ solution, is that investigative decisions can be actioned much faster. “Am I going to get something from that?” If the answer is no, then it’s time to move on. Spend the time on what is achievable and negate the impossible. If there was not a correct acquisition of this original video, it may not have been possible to enhance the dark image to recover the details of the vehicle and license plate. Licence plates usually stay within the policing world but faces, clothing configurations, and tattoos regularly end up in the press, social media, and within online galleries for recognition. Therefore, it’s worth taking a bit of time with these to ensure the highest possible chance of some good intelligence. It can also avoid some embarrassment – reading through public comments on a few sites makes for painful reading due to the image posted being so bad! Read the full article originally posted on Police Oracle. This entry was posted in Announcements, CCTV/DVR formats, FIVE, Press / Media on June 26, 2018 by Darlene Alvar. Whilst it’s been a busy time for us here at Amped with the demand for training higher than ever, we have made sure our development is continuous and we’re here again with another huge update for Amped FIVE. As you will know, one of the biggest struggles within the world of CCTV and video analysis is the ever-increasing number of proprietary formats. Our support and development team are constantly receiving requests for new format support and in our latest update, we have enabled conversion support for BVR, DVS, H64, PSF and SHV formats, along with some variations of other formats already supported in previous versions. All these formats are multiplexed streams. This is when a manufacturer has placed all camera footage into a single time-based video stream. 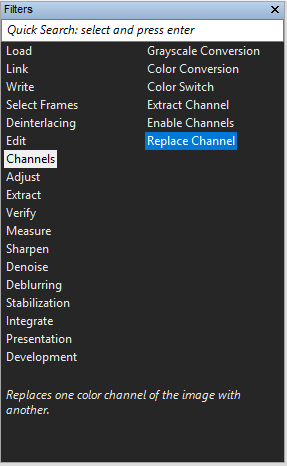 The latest FIVE not only converts the files straight away, but demultiplexes each video stream, splitting them into their own individual chains within the software. Under the Convert DVR Advanced tab you will find the options to enable this time-saving function. Files to Convert > All, one chain per file. 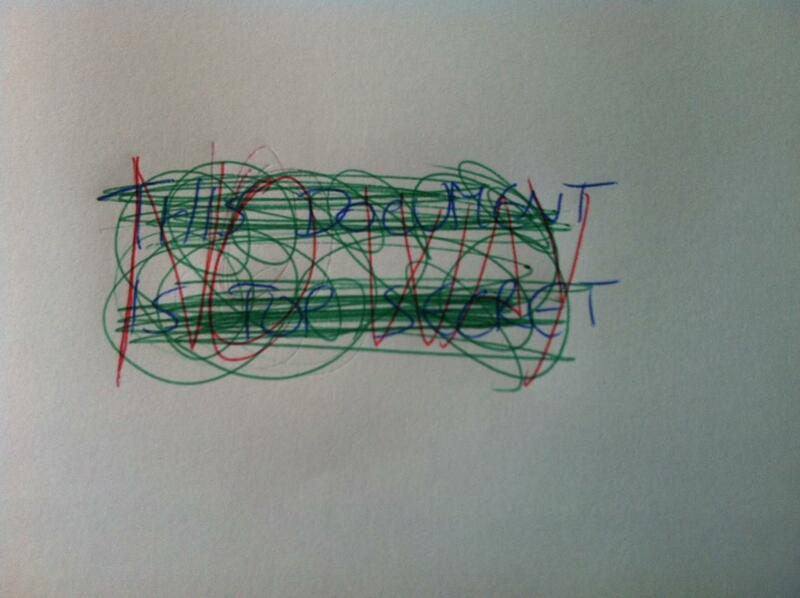 No more mixed streams, no more time wasted writing carving scripts. A few clicks will now save you hours! Multiplexed single stream decoding is huge, so expect a dedicated blog post in the next few weeks looking more deeply into decoding files of this type. But the new conversion engine does not stop there! There are a lot of benefits even on single stream video files. Standard conversion done with vanilla FFmpeg is often not enough – there may be the risk of losing video frames because of wrongly interpreted proprietary metadata. Our new engine not only cleans almost every proprietary video format, being in MPEG4, H263, H264 and H265, but for many of them also recovers the proprietary timestamp. We found more than 50 different variations of timestamp formats! This entry was posted in Announcements, FIVE, How to, New features, Tutorials on June 18, 2018 by Lucy Carey-Shields. First of all, let me introduce myself. I’m Lucy Carey-Shields, the newest member of the Amped team! Originally from the UK I studied Computer Forensics at degree level and was a volunteer police officer with a UK police force for six years. I later went on to work for another UK police force for almost four years as a digital forensics technician, mostly working with CCTV and video whilst also providing forensic acquisition of mobile devices. Whilst working at Amped I’ll be providing support as well as putting the software through its paces, so I look forward to hearing from you all! Now let’s dive into my first Amped blog post! When dealing with video, we often have to hide sensitive information or protect a person’s identity, particularly if the video is to be shared with a wider audience and we need to control the display of certain information. Amped FIVE has a filter for that! Having used two or more different tools to load, process and then redact sensitive footage in the past, I know how time-saving having all these features in one piece of software can be (and how critical time can be in a law enforcement environment). The Hide Selection filter allows you to pixelate, blur or blacken anything you want masked in a video quickly. In this instance, we’ll explore both dynamic tracking and manual tracking during the use of Hide Selection. 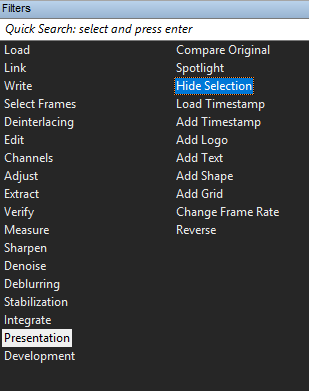 Hide Selection can be found under the Presentation group of filters, typically used at the end of a workflow. This entry was posted in Cases, FIVE, How to, Tutorials on May 24, 2018 by Lucy Carey-Shields. The ability to save a frame as a “Snapshot” has been a feature in Amped FIVE for quite some time. A simplified explanation of the use of Snapshots in interacting with third-party programs can be found here. Today, I want to expand a bit on the use of Snapshots in your processing of video files. There are often times that users have been asked to produce a BOLO flyer of multiple subjects and problems with the video file complicate the fulfillment of the request. The subjects aren’t looking towards the camera at the same time / within the same frame. There’s only one good frame of video to work with and you need to crop out multiple subjects. The Snapshot tool, on the Player Panel, saves the snapshot of the currently displayed image (frame) and its relative project. When you Right Click on the button, a menu pops up. The post linked above talks about working with the listed third-party tools. In this case, we’ll save the frame out, selecting a file type and manually enter an appropriate file name. We can choose from a variety of file types. In most cases, analysts will choose a lossless format like TIFF. 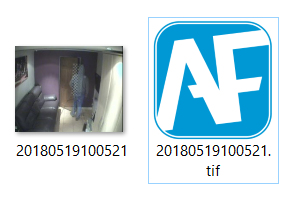 The results, saved to the working folder, are the frame of video as a TIFF and its relative project file (.afp). Working in this way, analysts can quickly and easily work with frames of interest separate from the video file. The same frame can be added to the project several times, repeated as necessary (in the case of cropping multiple subjects and objects from the same frame). Amped FIVE is an amazingly flexible tool. The Snapshot tool, found in the Player Panel, provides yet another way to move frames of interest out of your project as files, or out to a third-party tool. If you’d like more information about our tools and training options, contact us today. This entry was posted in Cases, FIVE, How to, Training, Tutorials on May 21, 2018 by Jim Hoerricks.